"Lourey's November Hunt goes down easy." November in Battle Lake, Minnesota, is cold enough to freeze the balls off a pool table. lt's also deer hunting season. When Tom Kicker is killed in a hunting accident, Mira James is hired to investigate—a job that brings her closer to a P.I. license. Braving subzero temps and shrieking blizzards, Mira uncovers a decades-old scandal that has never quite died, unlike the cold stiffs who are piling up in the town morgue. As she pieces together the clues, Mira discovers that Battle Lake's good-old boys have been up to some bad business. But with threats and enemies around every icy corner, she may not live long enough to expose the truth. 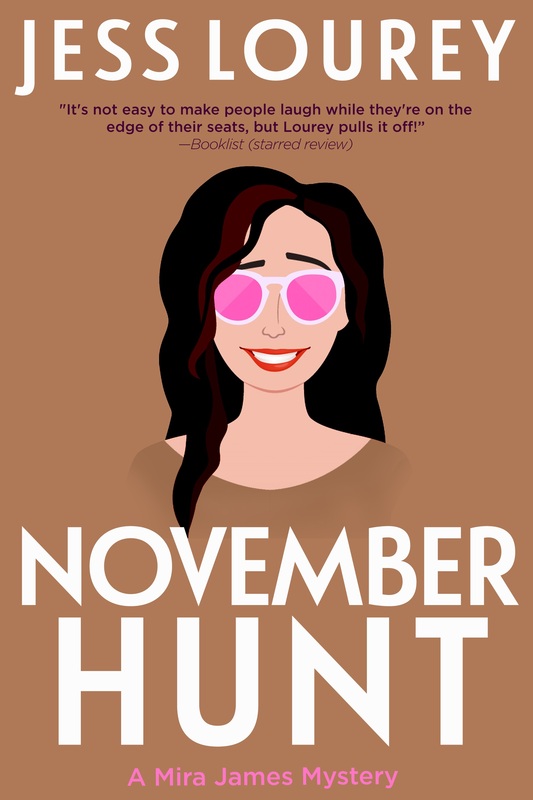 "It's not easy to make people laugh while they're on the edge of their seats, but Lourey pulls it off, while her vivid descriptions of a brutal Minnesota winter will make readers shiver in the seventh book in her very clever Murder-of-the-Month series."